A sixth-plate ambrotype from the Dan Schwab Collection pictures a Confederate infantryman dressed in a coarse battle shirt holds a Harpers Ferry musket and matching bayonet. In “Backbone and Lifeblood, or Reflections on Our 200th Issue,” the editor recognizes the collectors, advertisers and readers who have kept the magazine relevant and vibrant for 38 years and counting. Two new features are introduced. 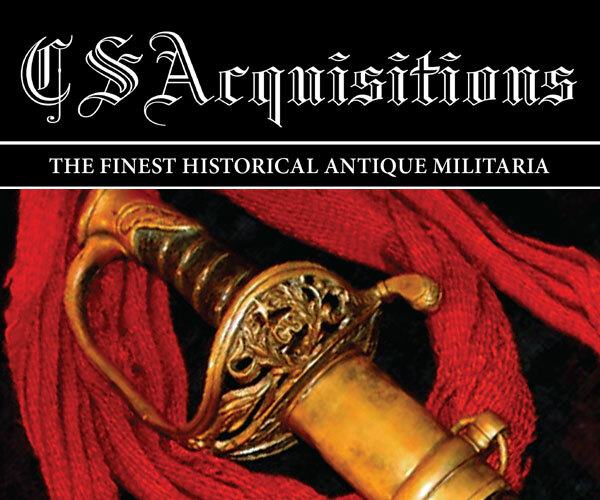 Ad Index is a listing of all advertisers who appear in the print edition of the magazine. Most Hallowed Ground profiles individuals interred at Arlington National Cemetery. Feedback on the last issue includes comments about the moving cover image, the identifications of two soldiers, an observation on the crossed arms displayed in the daguerreotype of VMI cadets and more. 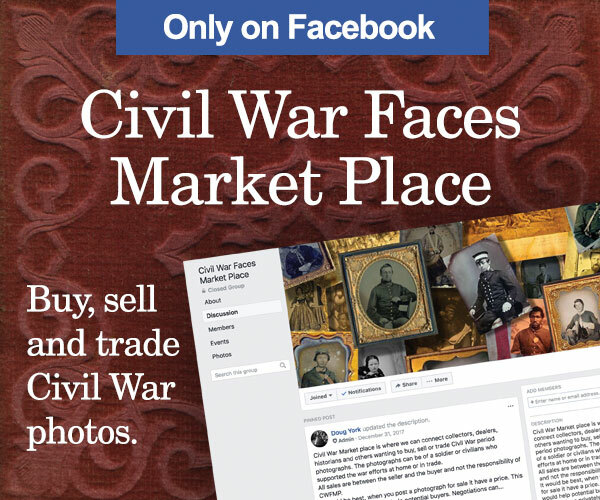 Dave Mark, a longtime collector and contributor to the magazine, has published a limited edition book, Maryland Confederate Faces: A Private Collection. 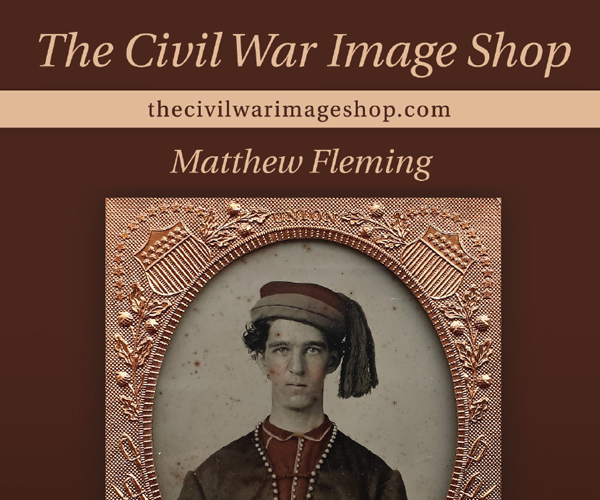 It is a must-have volume for serious students of Civil War portrait photography. In this debut column of portraits and stories of those who rest at Arlington National Cemetery, the featured soldier is Green Clay Goodloe. 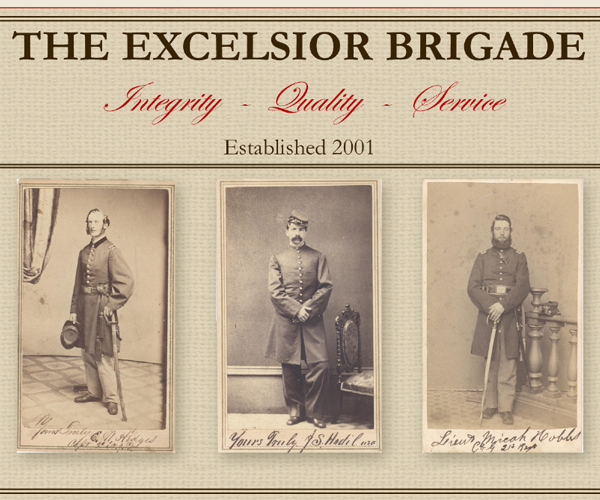 A Kentucky native from a family with a prominent military legacy, he fought for the Union and remained in the army after the end of hostilities. 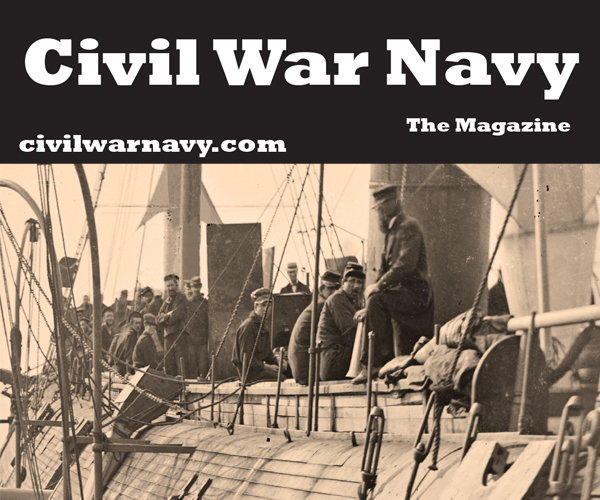 It began as a case of mistaken identity and ended with the humiliation of defeated Union soldiers swimming the chilled currents of the Potomac River just 40 miles from the federal capital. 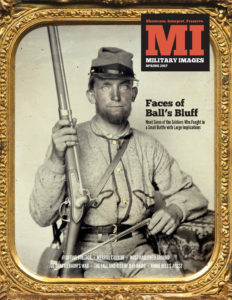 The Battle of Ball’s Bluff, as the comparatively small-scale fight came to be known, raised big questions across the world. 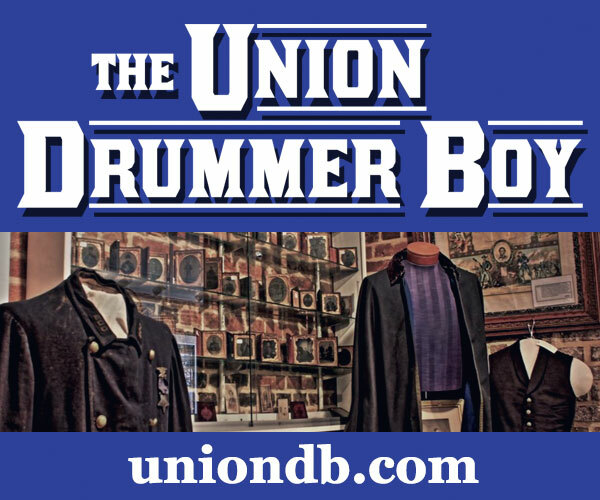 Were Union forces finished after successive losses at Manassas, Wilson’s Creek and now Ball’s Bluff? 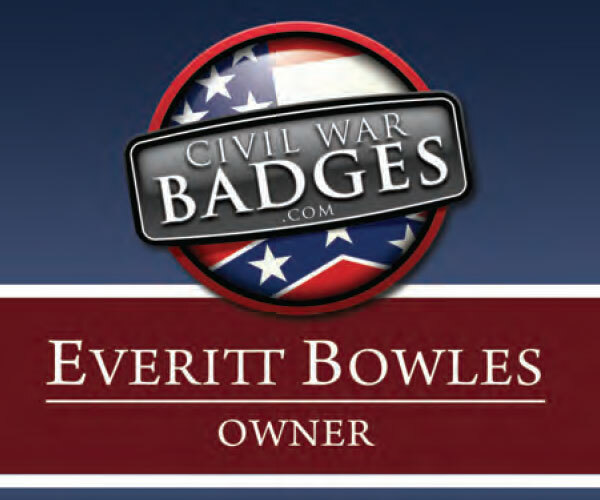 Could victorious Confederates win the Civil War? 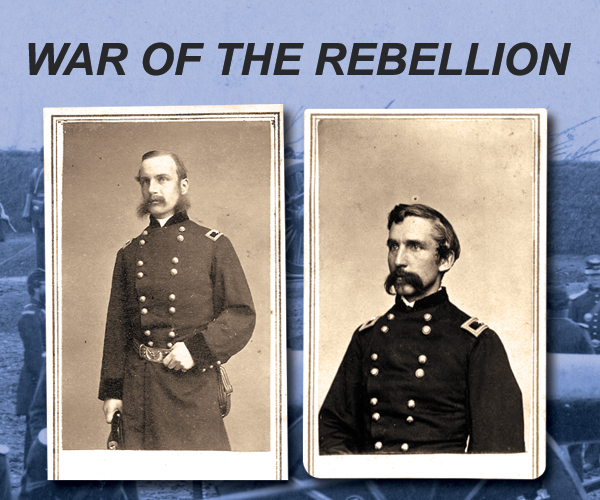 Portraits of 38 identified soldiers who participated in the battle, each accompanied by an account of the experience during the fight and its aftermath. 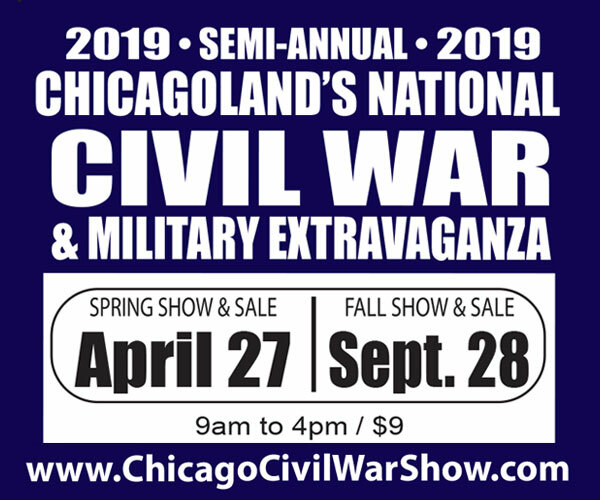 Regiments represented include the 15th and 20th Massachusetts infantries, the 42nd New York Infantry, the 1st California Infantry (71st Pennsylvania Infantry), the 1st Rhode Island Light Artillery and the 8th Virginia Infantry. 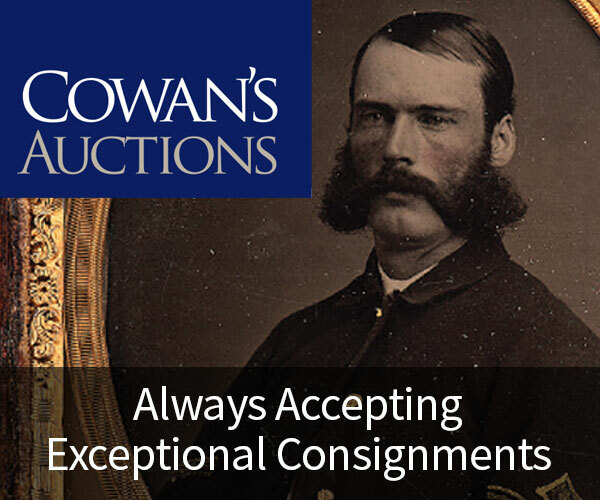 A selection of Civil War portraits from the Dan Schwab Collection features 20 ambrotypes and tintypes of military men—15 Union and five Confederates. 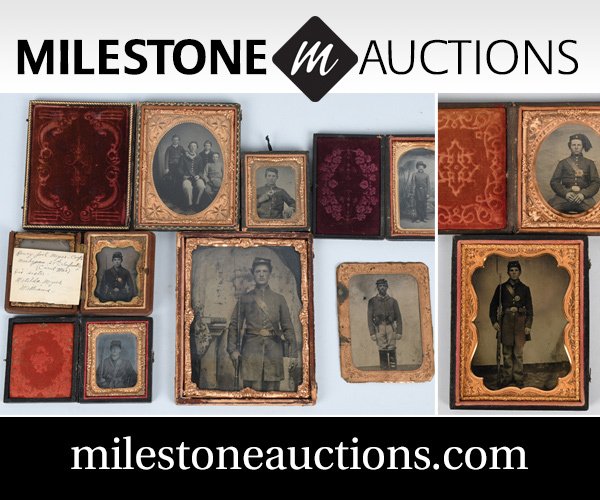 Identified portraits include Henry G. Thompson of the 13th New Hampshire Infantry, Andrew Adams of the U.S. Navy, John Gilmer Telford of the 44th Ohio Infantry and the U.S. Volunteers Adjutant General’s Department and a group of ten troopers from the 5th Ohio Cavalry. The journey of Joseph Elijah Quattlebaum of the 13th South Carolina Infantry and his family during the Civil War is representative of the multitude of resilient subsistence farmers who eked out a living on their own merits, without slaves, on modest patches of land across the South. After his capture on May 9, 1865, near Irwinville, Ga., Jefferson Davis was held as a state prisoner for the next two years. He would live for more than two decades after his release from prison, and during that time posed for numerous portraits. The story is the final installment of a five part series. A previously unpublished letter by Civil War nurse Annie Bell sheds new light on her iconic photo. The well-known image pictures Bell caring for two patients at a military hospital in Union-occupied Nashville, Tenn., in February 1864. The photograph was sold by the U.S. Sanitary Commission to raise funds for its work. 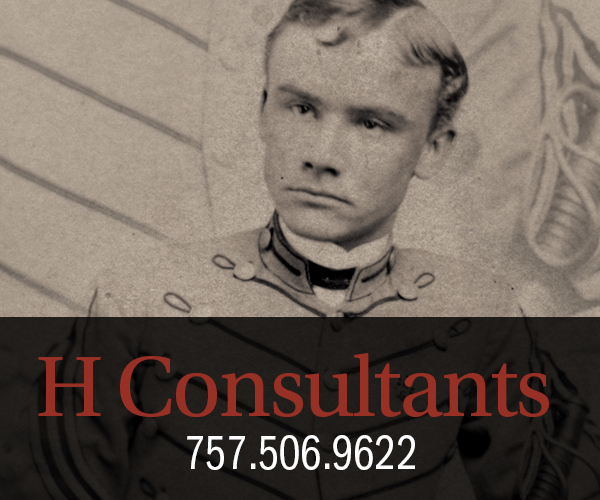 Union soldier Almon C. Barnard served in three regiments during the Civil War, and his surviving letters document his activities during his five years in uniform. 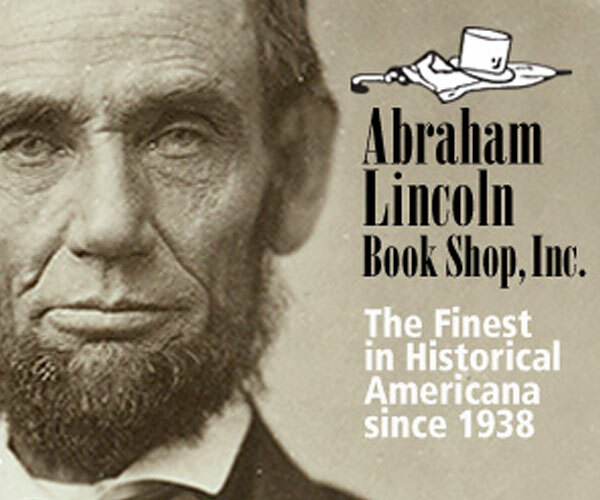 They include service in the 14th New York Infantry, the 11th Michigan Cavalry and the 12th U.S. Colored Heavy Artillery. A sampling of five distinctive cartes de visite that include writings on the back—a flirtatious note, a souvenir from the campaign, an update from the field, a military history and a chatty missive. In “There were Zouaves in 1865—and Plenty of Them,” Mike shares his knowledge about late war Zouave organizations. One of them, the 164th New York Infantry, had a distinguished battle record during Lt. Gen. Ulysses S. Grant’s 1864 Overland Campaign. 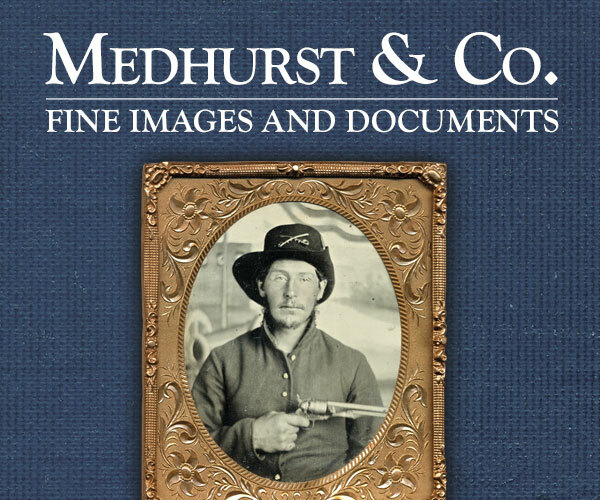 Featured in this issue is the only known portrait of a Civil War trooper wearing an Arkansas waist belt buckle, a Mississippi sergeant who served in the “Gaines Warriors,” a South Carolina soldier by noted photographer Charles J. Quinby, a previously unknown portrait of Confederate Gen. David E. Twiggs and more. 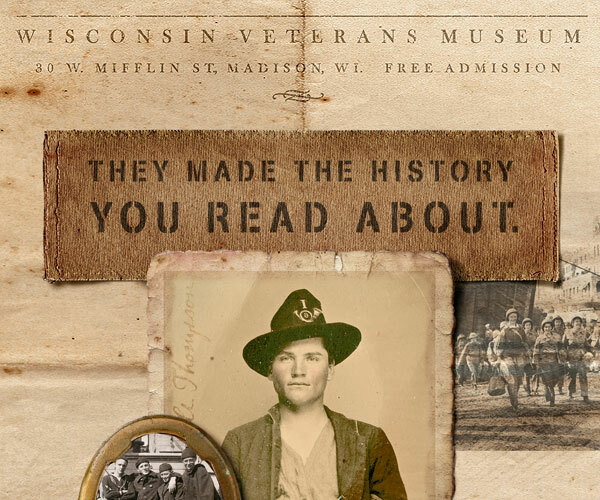 A “guest sleuth” column features the experience of Fred Gaede and his efforts to discover the identity of a soldier armed with a Merrill carbine. 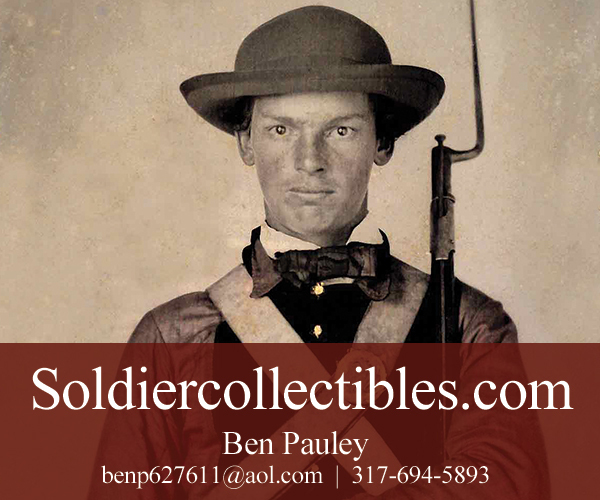 After careful research, Gaede identified the soldier as Pvt. James M. Wetherbee of the 83rd Illinois Infantry. 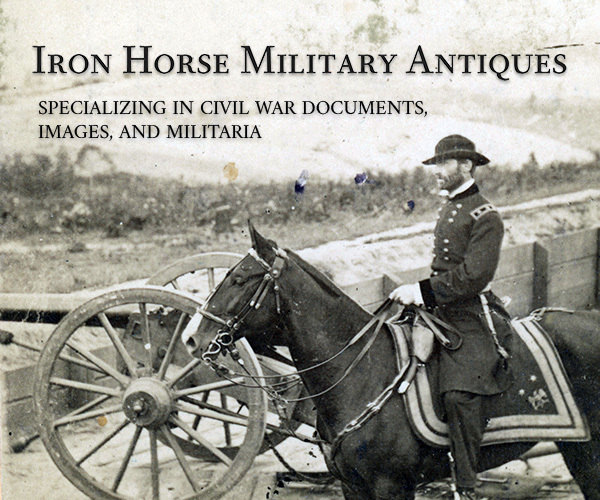 The Civil War correspondence of Lt. Col. William Gaston Delony of Cobb’s Georgia Legion Cavalry and his wife, Rosa Delony, reveals a family man with strong leadership qualities who fought with unbridled aggression in numerous battles. 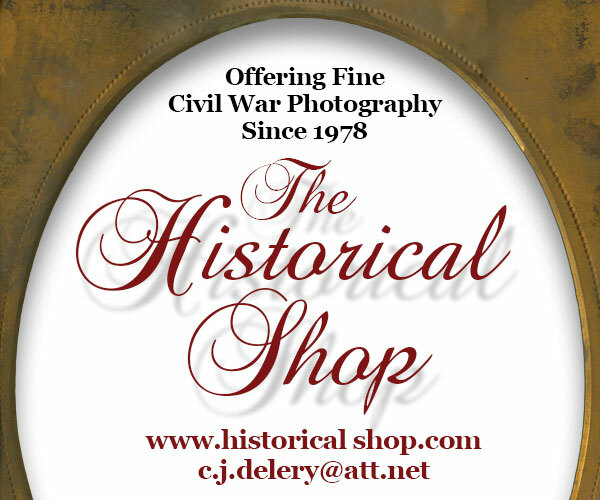 His last engagement, at Jack’s Shop, Va., ended in a wound that proved mortal. 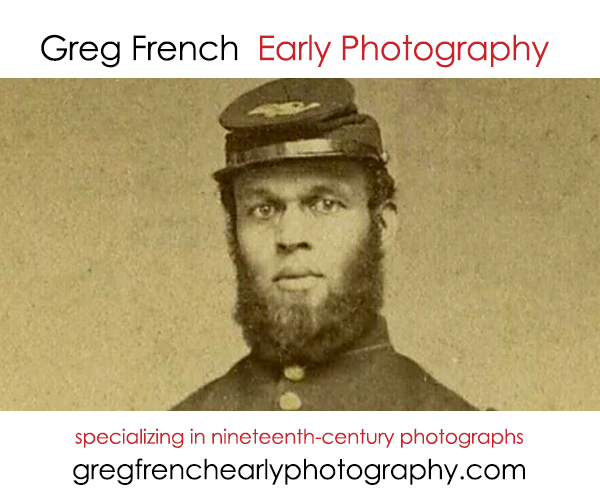 A quarter-plate ambrotype from the Rick Brown Collection pictures a militiaman who served in the 14th Regiment, New York State Militia. The uniform is distinctive because it was not received well by the rank and file, prompting morale problems and a redesign of the uniform. 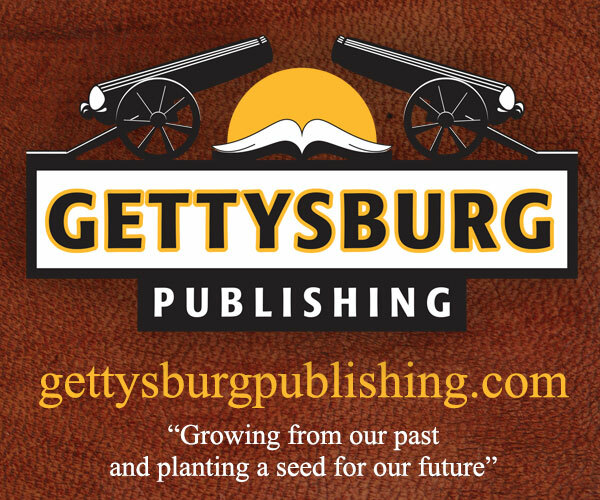 In “Crashing Into Gordon’s Line at Appomattox,” we meet West Funk of the 19th and 121st Pennsylvania infantries. 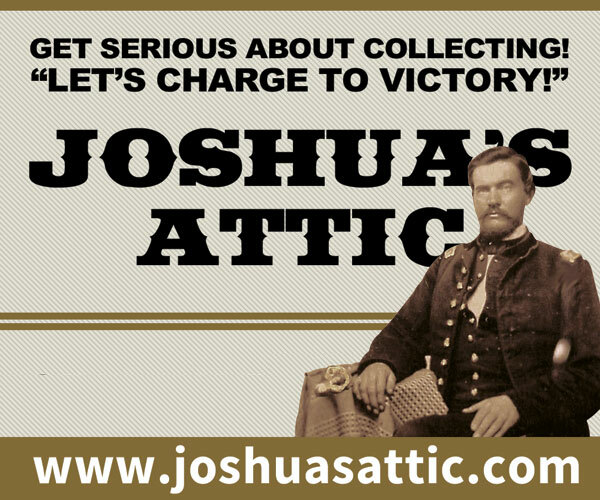 As an officer in the latter regiment, he captured the battle flag of the 46th Virginia Infantry on the morning of April 9, 1865. He later received the Medal of Honor for his actions. 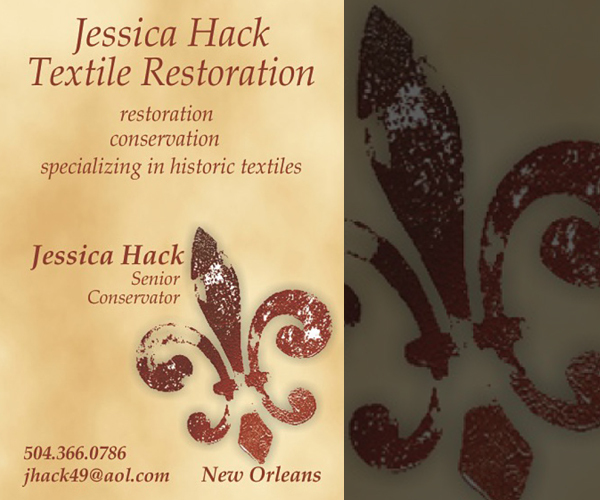 Two cartes de visite tell a story currently lost to history. One image is a portrait of a navy officer holding the Stars and Stripes. The other is the same officer, this time pictured with other officers and enlisted men. In the center of the group is the same flag, and the sailor gripping its staff also raises a boarding ax.